ljcfyi: Happy Earth Day! Go enter to win something! Happy Earth Day! Go enter to win something! Three of my favorite brands have some really sweet giveaways going on! 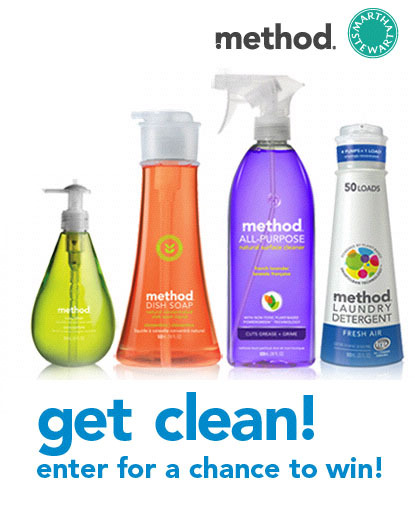 Martha Stewart and Method teamed up for the Get Clean Sweepstakes. You could win a kitchen refresh, kitchen accessories, a year's supply of Method products and an autographed copy of Martha Stewart Homekeeping Handbook! All you have to do is go here to enter. The sweepstakes ends on 4/30. One of my favorite bloggers Oh Happy Day participated in the campaign by showing how she organizes and spring cleans. My favorite reusable bag company is also having an Earth Day Competition. 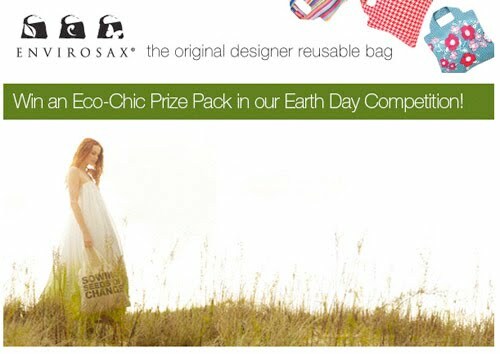 Answer some pop quiz questions about Envirosax for a chance to win an Eco Chic Prize Pack with lots of eco-friendly swag. Here is the pop quiz. This one ends on 4/24. Now get out there and enter!